Capture customer feedback without endless survey questions! The one-click survey links embed into the Incident resolution email by default but can be used in any email from Cherwell. Once a customer or business colleague has clicked the appropriate link they are redirected to a configurable Thank You page. The URL for the page is stored in a Cherwell stored value. You can change this to any URL of your choosing. 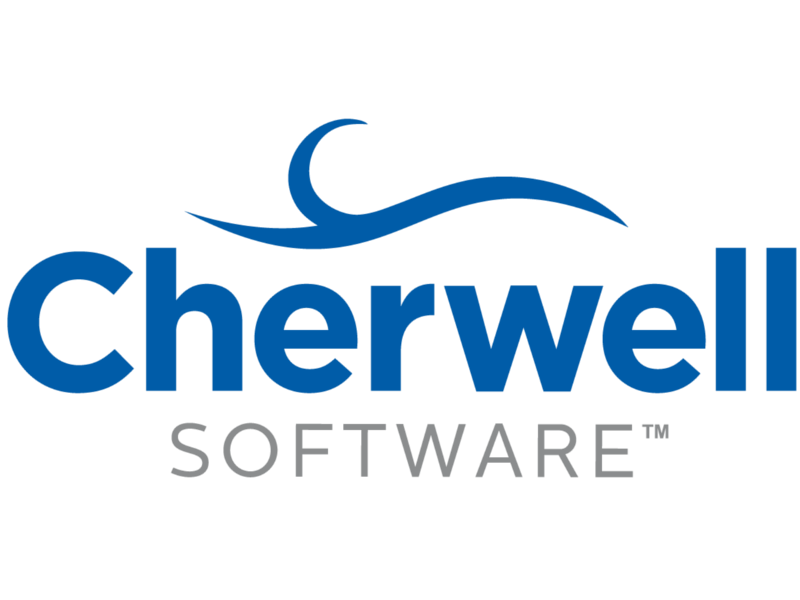 Every customer and business colleagues survey score history is stored in Cherwell Service Management providing a full history of every (one) click ever taken. So many surveys are not completed simply because they are too long and time consuming to complete. One-click survey is easy to deploy and even easier to use. One-click on the sentiment image and/or phrase that matches your feelings and you're done. When surveys are as simple as a single mouse click your feedback response rate will dramatically increase. On average a survey rate of 30-40% (for internal surveys) and 10-15% (for external surveys) is considered normal. With One-Click Survey expect that to rise to at least 80% giving you access to a wider pool of customer and business user feedback. 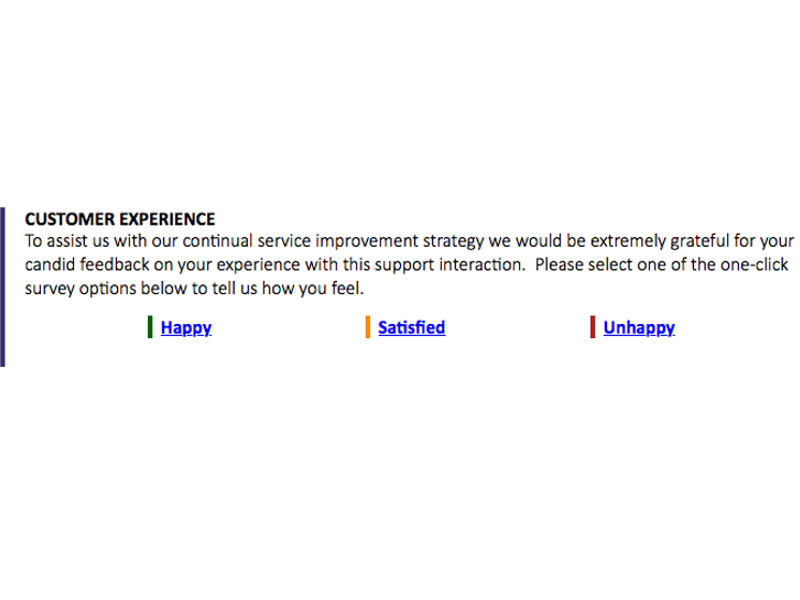 The Customer Experience one click survey is a set of links in the resolution email for each case that allows you to gather vital data from the users without them having to fill in time consuming surveys. The links will automatically update the individual record with the Users score just by clicking on the link. 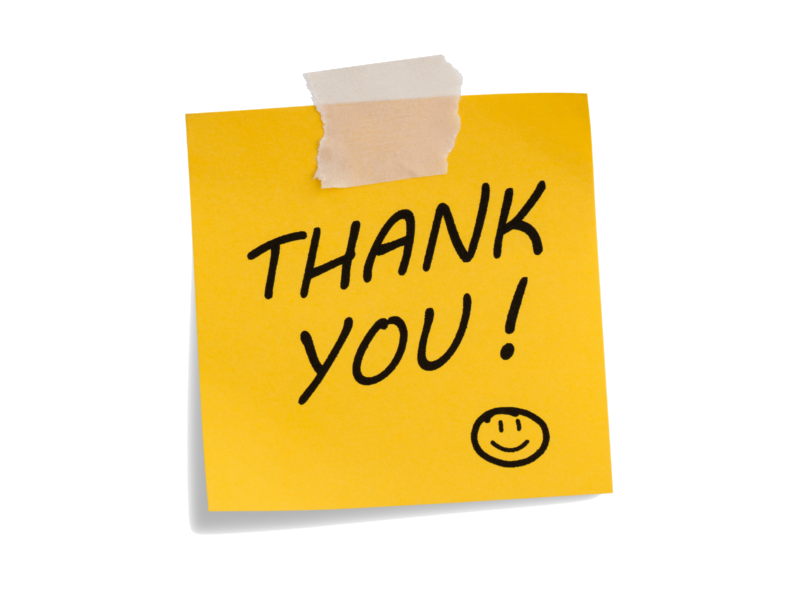 Once the link is clicked it will take you to a thank you page or any page you require, this is changed in the One Click survey URL stored value. The results will be averaged and displayed on the Customer Experience dashboard.